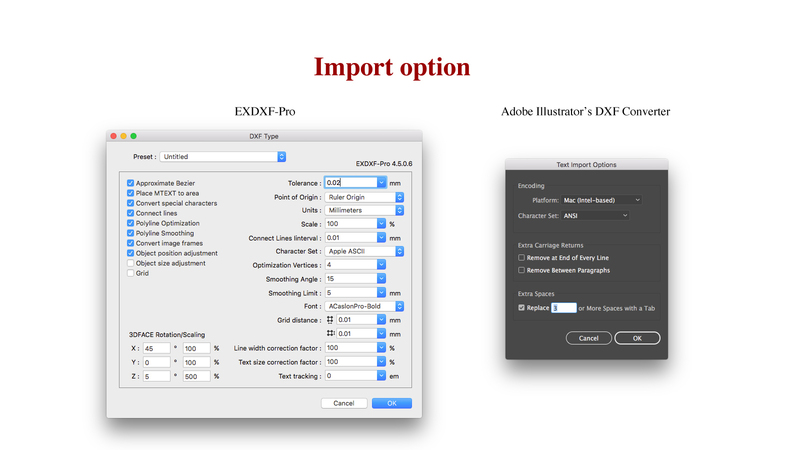 Import and export CAD-standard DXF files to Adobe Illustrator. More Apps Baby Universe, Inc.
Is there a better alternative to EXDXF-Pro4? Is EXDXF-Pro4 really the best app in File Management category? Will EXDXF-Pro4 work good on macOS 10.13.4? 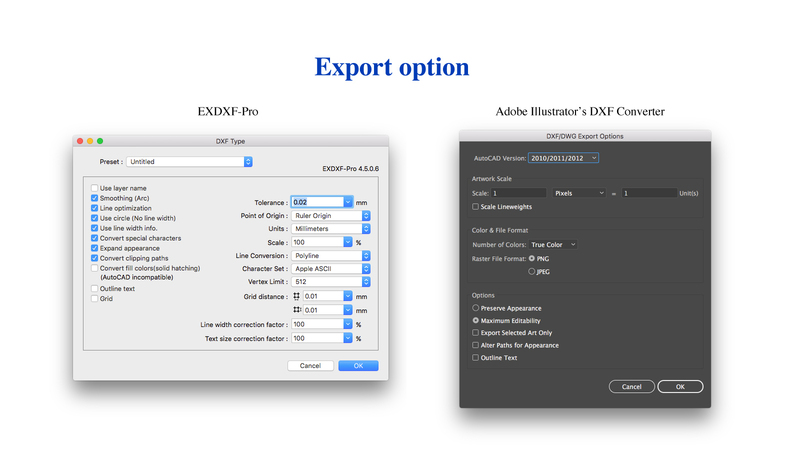 EXDXF-Pro provides you with the ability to import CAD-standard DXF/DWG files to Adobe Illustrator, and to export AI files to CAD, allowing you to make your data compatible with both applications. Adobe Illustrator also has basic DXF/DWG import and export functions, but it is not sufficient to recognize and convert lines, curves, and objects correctly. EXDXF-Pro outputs DXF/DWG files with beautiful and accurate curved lines, using its own smoothing technology. This is the perfect tool for professionals who use both CAD and Adobe Illustrator! EXDXF-Pro4 needs a review. Be the first to review this app and get the discussion started! EXDXF-Pro4 needs a rating. Be the first to rate this app and get the discussion started!